Here they are! 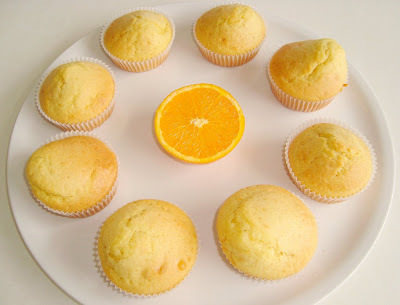 The Orange Breakfast Muffins! It's not the first time I have baked these, I believe these were one of the first things I ever baked. They're sooo good, definitely one of my favorite muffins. 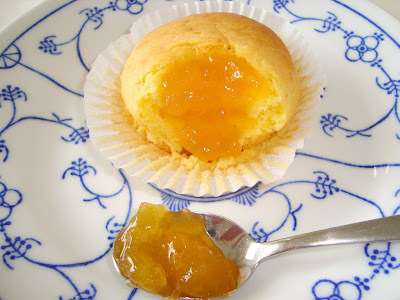 They taste so fresh and wholesome, and the orange flavor is light enough to pair the muffins with any kind of jam or butter. Courtesy by Nigella Lawson's 'Nigella Bites'. - Preheat oven to 400F/200C. - Melt the butter and set aside. 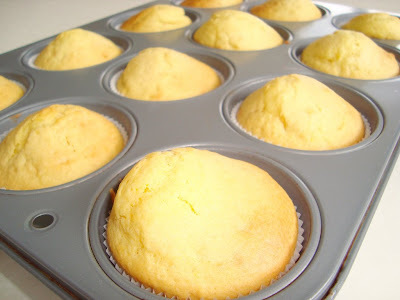 - Combine the flour, baking powder, baking soda, sugar and orange zest in a large bowl. 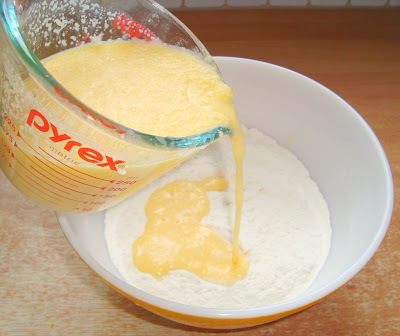 - Measure the orange juice and milk into a jug and whisk in the egg and then the cooled, melted butter. 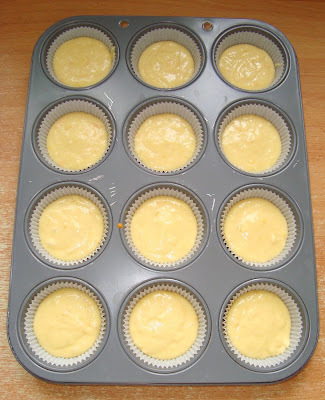 - Pour the liquid ingredients into the dry ingredients, mixing with a fork as you go. 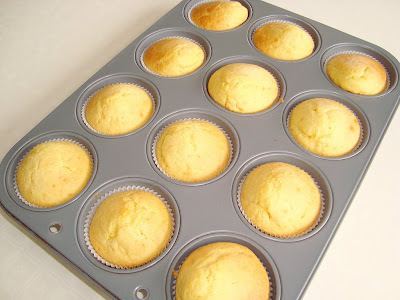 - Bake for 20 minutes or until they begin to turn golden brown. - Cool for 10 minutes before indulging. Liquid + wet ingredients = muffin batter. They form such funny peaks. Which one does not belong here? With some apricot-jam. I live for breakfasts like these!!! They look yummy - I love a good muffin. 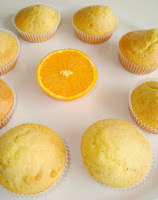 I've been looking for a delicious orange muffin recipe and I think I have finally found one! Great pics and easy to follow recipe. Going to make for Sunday breakfast. I just made these! The recipe is lovely!